To enable you to meet Clauses 6.1 to 6.6—Managing complaints and appeals, you need to address the requirements. Getting your RTO Systems into the needs of the current standards, means you need to update them. We have the easy solution in this RTO Systems pack. The downloadable files are easy to insert into your current system, are complaint, and provide you guidance on your responsibilities. Information provides the steps for responding to complaints and appeals regarding your registered training organisation. 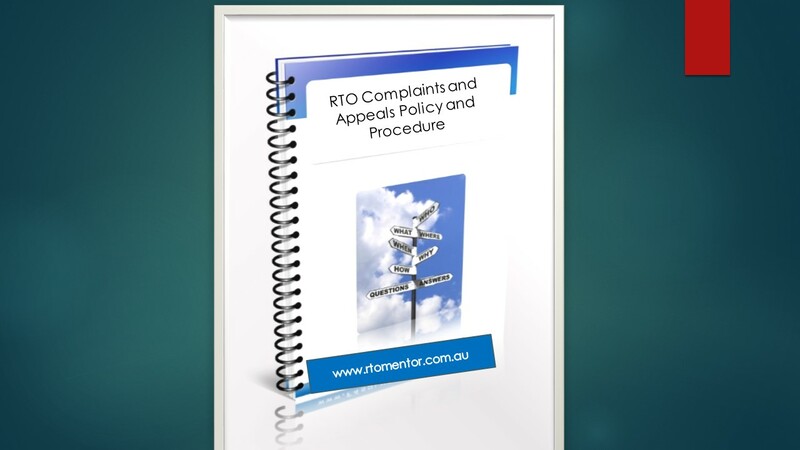 If you need to update your RTO systems and specifically the complaints and appeals process, then we have the solution for you. The documents ensure you correctly gather key information, investigate, record and inform your students. It provides you with guidlines on best practice as well as meeting the standards. Everything is in easy to use word format, fully editable and customisable to suit your RTO branding.